Anyone who knows me even by mere acquaintance, knows that my signature everyday look is a subtle cat’s eye flicked liner with a strong red lip. It looks quite snazzy against my dusky skin, without being too overwhelming. Thanks to this regular use of red lip colour I have amassed quite a few beautiful reds that not only look gorgeous but last pretty well too. 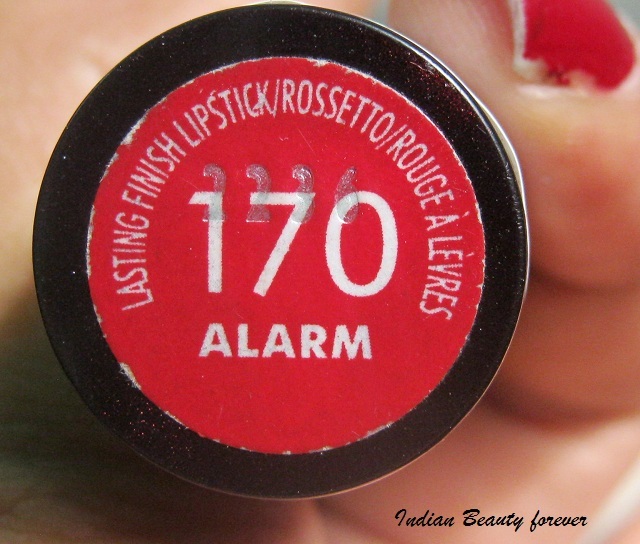 The product I am now going to review is one of my first few red lip colours which is Rimmel London Lipstick in alarm, read on to see how it fares. My take on the product : Let me start by saying that I sometimes get sentimentally attached to certain makeup products and continue to buy them despite their flaws. A good example of this is the fact that I bought the Maybelline ColorSensational lip colour in Fatal Red 3 times before changing to another lip colour on a mere whim. 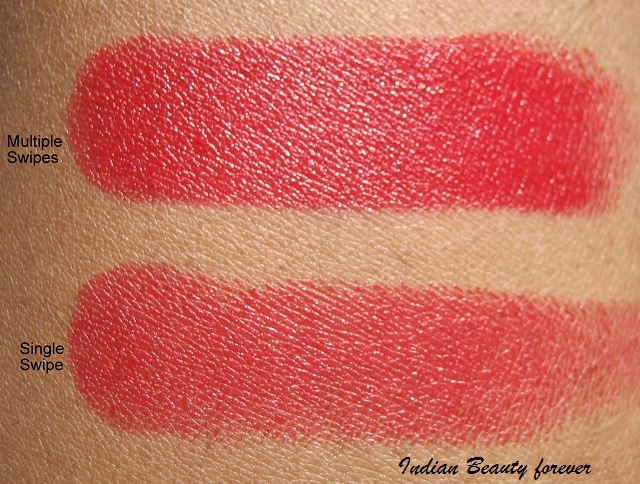 This is the lip colour that I chose and while it’s much better than Fatal Red it has its own flaws. 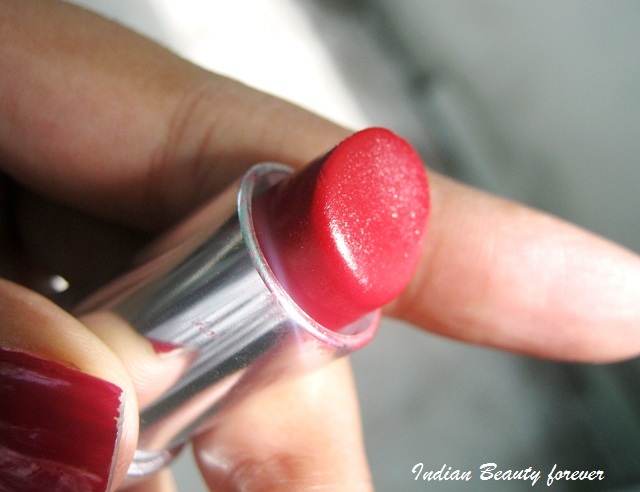 Next, the colour is a true red that tilts a little towards blue which helps in making my teeth look whiter and my dusky skin lit from within. This colour is a bit hard to find in affordable lipstick ranges so I am very glad to have made this find. The problem with this lipstick is how it fades. I have no problem in reapplying evenly faded lip colour sometime in the day, but this lip colour fades very patchily and settles into lip lines in a few short hours. This makes me have to scrub it all off and start all over again. The apply-dab-layer-dab technique of mattifying lip colour does help with its longevity fading issues but even this loses its strength in 5-6 hours after which all the layers need to be scrubbed off and one needs to reapply all over again. But at this price point and for such an incredible colour, it isn’t that huge a hardship just a little inconvenient. 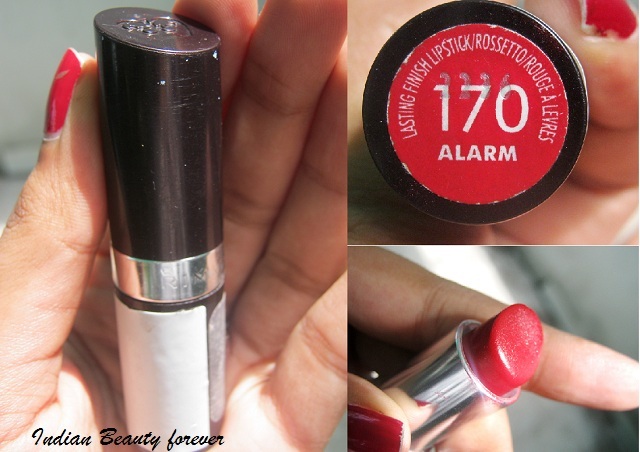 Take: Rimmel London long lasting Lipstick in alarm is a beautiful red that is going to flatter everyone. Pigmentation is good with a satin finish that makes me recommend them, if not this then do check out other shades.